I just can't stop painting with watercolors. I want to do more. I want to learn more. But most of all, I want to put the colors on the paper and watch them blend and dry and make those beautiful pools of color that I love so much. I was on a state of creative block and they brought me back to life. And thanks to them I'm now painting again! If you follow me on my Instagram account or Facebook Page you may have seen some of my latest work in progress pics, but I have more pics to share! I just got my brand new set of watercolors and spent half of my night yesterday unpacking and labeling them and making the color chart. Just putting the colors on the paper made me so happy! They're just beautiful, aren't they? Here's "It's getting late" in the making. 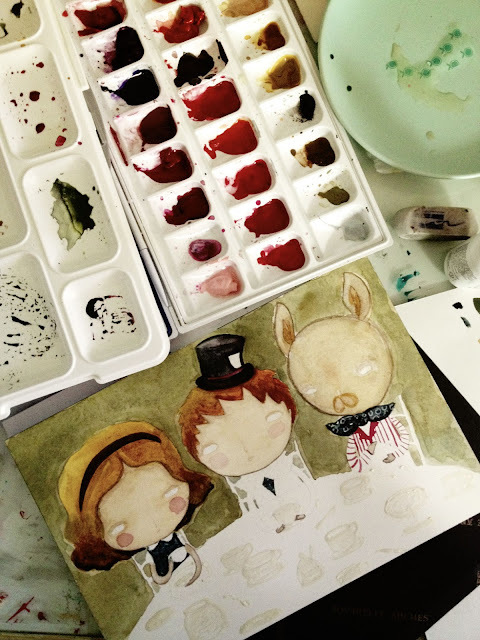 "A mad tea party" in progress. "Sleepless nights". This one dedicated to the ones who had spent at least one night taking care of a loved one. "In the Sea of Isabella". My newest! 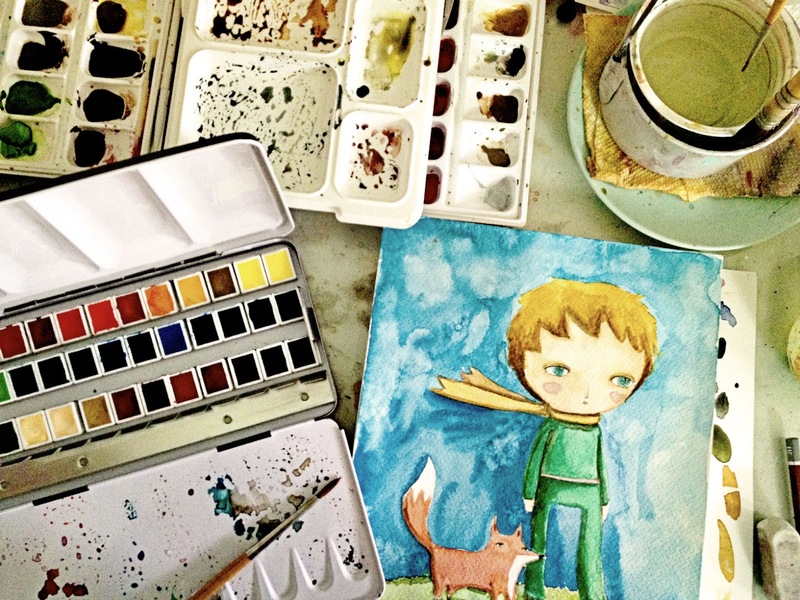 And currently on my table: "Little Prince and the fox"
Now I want to start mixing watercolor with other media... collage maybe? Beeswax? Let's see. Can't wait to share it with you! 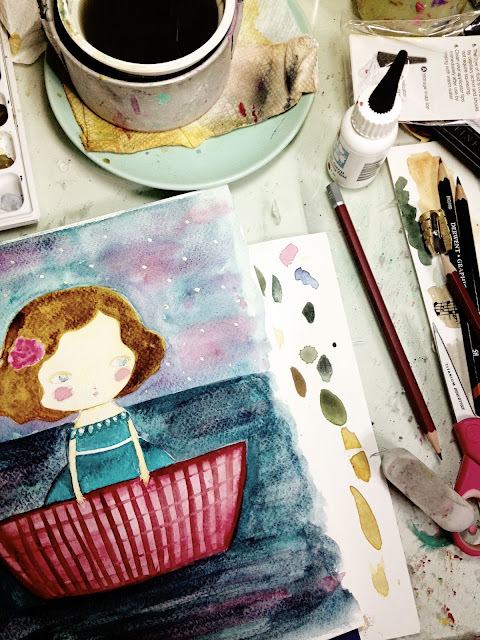 I agree watercolours are magic, and you make more magic with them! Watercolor is definately a medium I wanna learn about and explore. What is the set you got ? I love youre watercolour drawings a lot. Beautiful! I love your new pieces. Sleepless nights is my favorite. I suppose with having 4 teenage sons and an elderly father who lives alone, I can relate to sleepless nights!!!! So happy that you have found inspiration to paint again. I would hate to think i found your work just when you stop creating. But I know that would really never happen, you will always find something that inspires you:) Enjoy your beautiful paints my friend!! 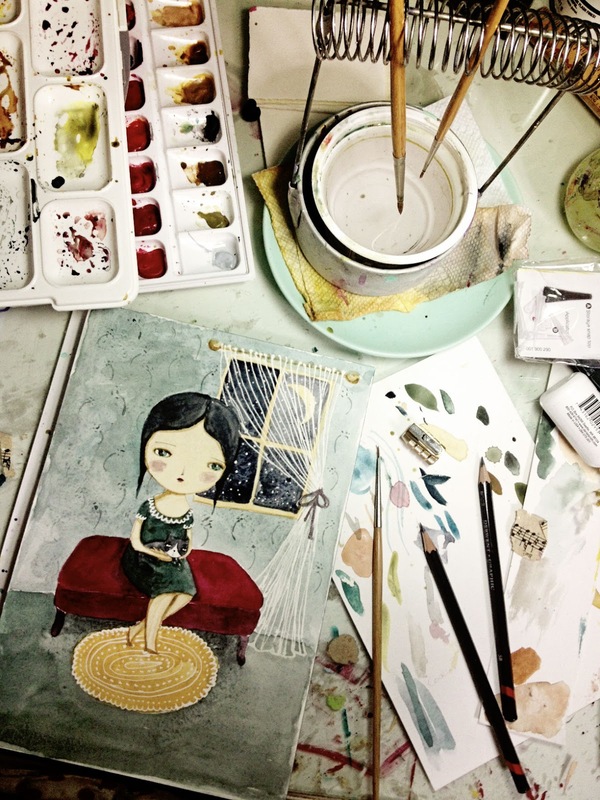 I really really love that Sleepless Nights painting - the watercolors are just amazing! 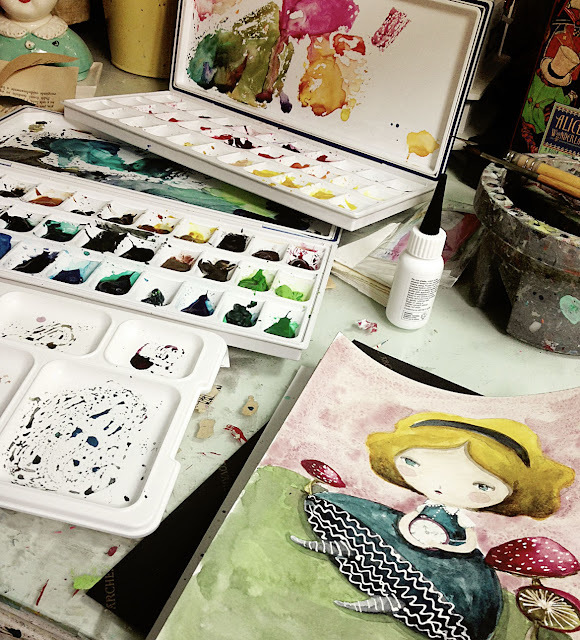 The Alice in Wonderland paintings, especially the one with Hatter and Rabbit, are just lovely! Makes me want to try them but mine wouldn't magically turn out like yours sadly! Thank you for the kind comments! I was really scared to try at first, specially because there's not much space for mistakes in watercolor... and the sheets are very expensive, but once I got the hang of it I'm in heaven! 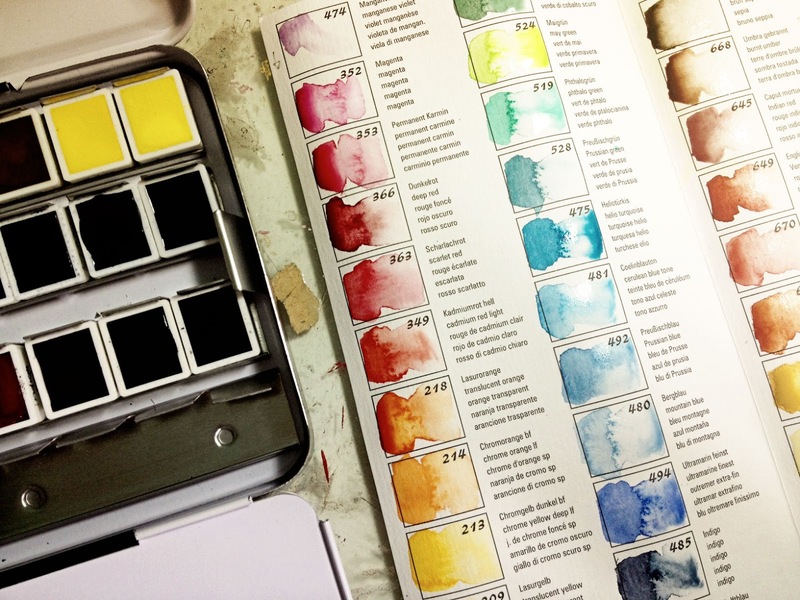 Tu caja de acuarelas es preciosa!! Y tus creaciones son lindas lindas. Me gusta especialmente la dulce muchacha con el gatito. Adoro a los gatos y adoro tus obras!!! Hello there, I feel so much like you about water colours at the moment, they have helped me with my creative block and inspired me so much! These are beautiful! 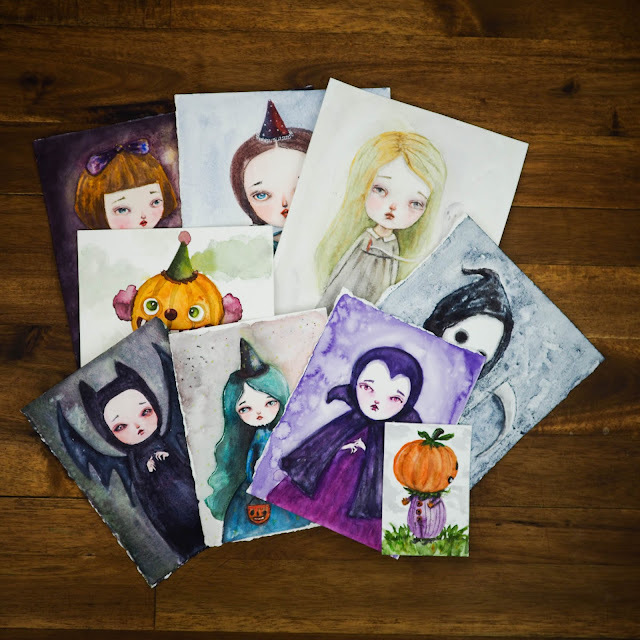 I want to break out my watercolors. 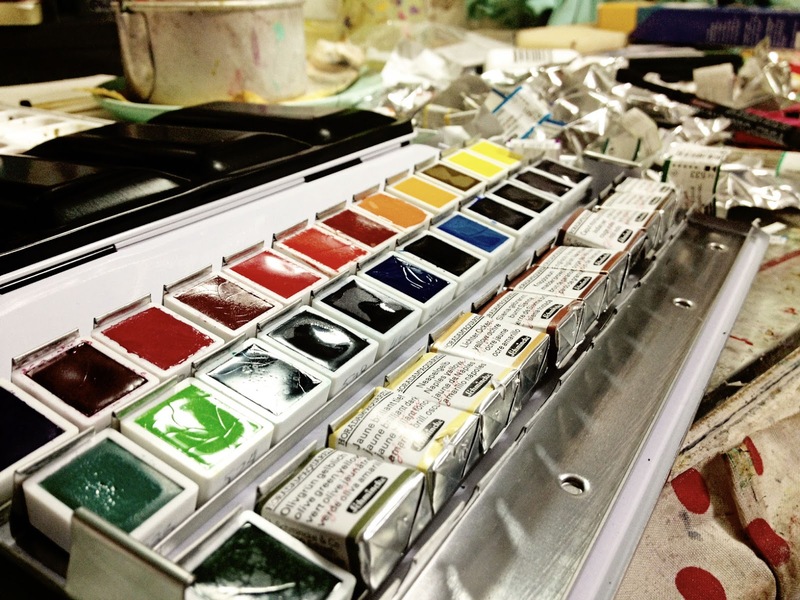 Another nice watercolor product are Inktense Blocks. When they dry they are permanent and they are super bright and colorful!